"I remember his curly hair and his cowboy hats," says Natalie Fotopoulos, an ensemble dancer in Wicked, who used to compete alongside Justin Timberlake in the Mid-South Fair's talent competitions. "Neither one of us ever won," she says with a laugh. Even if Fotopoulos' career hasn't been quite as spectacular as her more famous contemporary, it's still been pretty glamorous. She was a top-six finalist on Season 2 of So You Think You Can Dance, and that finish was strong enough to net the Cordova High graduate a job as choreographer for the Greek version of the show. "When So You Think You Can Dance was cancelled, I came back to America and decided to put dancing and choreographing on the back burner," Fotopoulos says. "I wanted to work on the other aspects of what I do, like singing and acting." 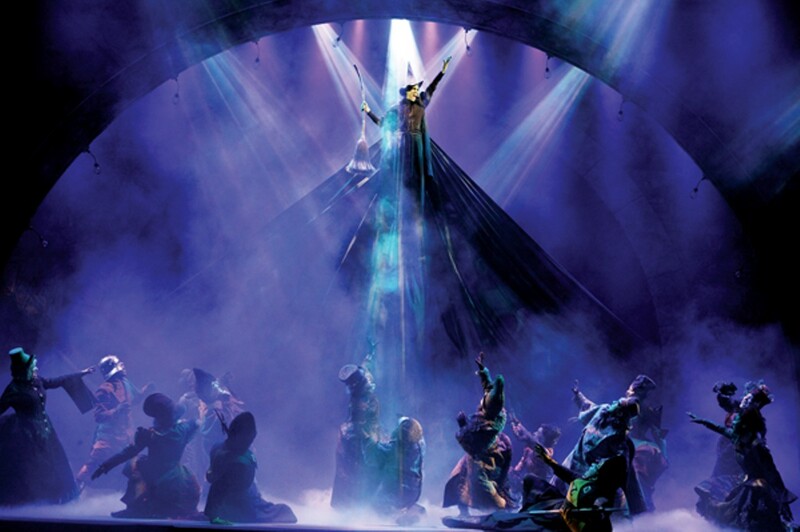 When the opportunity to join the second national touring company of Wicked came along, she leapt. "As it turns out, they were looking for a very specific part. It was a dance part, and I just happened to fit it," Fotopoulos says. "I had seen the show numerous times, and it was magical every time. I always saw myself doing the show. The dancing in Wicked is very contemporary, a fusion of ballet and jazz that reached out and touched me as a dancer." Wicked, a topsy-turvy prequel to The Wizard of Oz, has always been proprietary about its costumes and technology, so Fotopoulos can't share a lot about what she does. "I'll tell you this, it's like being stuffed into a child's Halloween costume: spandex and muscles," she says, describing one of the less-than-glamorous realities of one of Wicked's best surprises.